Last fall Geraldine Largay’s, trail name Inchworm, body was found after having been missing for over two years after getting lost on the Appalachian Trail in Maine. When news broke in 2013 the she was lost it was easy to suspect foul play based on all of the circumstances. At the very least, maybe there was just some freak accident that occurred. When her body was found not very far from the AT on military land, of course there were even more theories. And then there was nothing, no information until this past May when it was made known that she survived for 26 days, lost, based on information in her journal. The more that I read about that situation the more it baffled me and others. Sure, the north woods are dense and terrain is rough, but wow, 26 days of survival and how come no one found her? How come she didn’t do this or that….all of the questions. I can pretty clearly remember the stretch of trail from where she went missing, not every detail of course, but the general terrain and some of the landmarks especially because I remember the day we hiked from Poplar Ridge Lean-To, had lunch at Spaulding Mountain, and Merf, Chris and I hung out for the afternoon at the Carrabasset River before heading up to the Crocker Cirque tentsite. I have a good memory of this section of trail. Nevertheless, all of the unknowns and the sad fact she was prepared enough to survive so long really bothered me. I kind of put it to the back of my mind this summer until Patches wrote Lost and Alone: A Solo Thru-Hiker’s Perspective last week. In it there were graphics that I hadn’t seen. The snail trail map of the tracks that search and rescuers used to search for her is haunting because of how close they came to her final location. It’s also haunting in how much other areas were searched versus her final resting location. Patches touched on this, how knowledge and tips on where Inchworm may or may not have last been seen played a part in the confusing search area. Read Patches’ post, it is well worth the time. I have a lot more thoughts but she wrote them all succintly and you’ll be better off reading from her than my rambling mess! On the same subject of the Appalachian Trail, in the last two years it has become very evident that the trail is facing some over-use, or at least perceived over-use. I haven’t been able to figure that one out because I only see what I read online and am not out on the trail to experience thru-hiker seasons as a hiker or volunteer. I’m very glad that we hiked just on the cusp of full-on social media and smart phones being prevalent on the trail. I suspect it is a very different trail just in this aspect than it was in 2010. And I’m sure people in 2000 would say the same about us in 2010…etc, etc. Which is why I wonder about the actual versus perceived. It definitely seems as if there is a huge explosion in trail and outside ‘lifestyle’ and I wonder at what the AT will become in the coming years. With the push for alternative thru-hikes (flip-flops, alternative starting locations) I do wonder how long this will sustain itself. Not only that, the increased use of other trails, especially the PCT thanks to Wild. I don’t know what I’m going for here, I guess I just wonder what kind of trail experience it will be in the coming years. Kind of in this same vein was this post from Appalachian Trials that irritated me to no end. Part of me hopes it was just a mid-hiking-I’m-hungry-and-tired rant but part of me thinks it is also a narrow minded, entitled viewpoint that believes the trail should cater to the hiker. While I/we had our own beefs with some aspects of the Whites, I found this write-up demanding and shallow. And, come on, you’ve known for hundreds of miles, and probably as you planned your hike, just what New Hampshire and Maine had in store for you. This isn’t 1975. And this post makes me think that *this* is what is fueling the over-use frustrations. Entitlement. 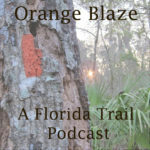 The final little tidbit is about the Florida Trail. I had a backlog of magazines to read and one of them was the Winter Issue of Footprint. I was flipping through it on a road trip to DFW this weekend and was stunned to see a write-up about last year’s contest for grant money to repair a boardwalk on the trail in St. Marks. The FT was in the lead and doing superbly when all of a sudden after month one a lot of our votes were taken away and a new voting system was put in place. First off, changing the votes and rules mid-contest was crap. Anyway, as you see on pg 36 of the issue in that link up there, there is more information than I had on hand, but information I had suspected. The Florida Trail definitely gets a negative rap from people who have limited definitions of thru-hiking and backpacking but probably also from perpetuated myths and bad experiences of other hikers. I had suspected that that negativity had infiltrated the voting process and had been an influence but I didn’t want to think that. And by the sounds of that article that’s just what happened. I suppose there’s likely another side of the story and if there is, please inform me. It was good to see that funding was found and the boardwalk was able to be built. That contest left a bad taste in my mouth for any other future trail building funding opportunities in this manner. And that’s my short rant on long trails for today! Just read that Appalachian Trails post and I agree with you. Josh and I hiked the Presidentials in June 2012, and they were no joke. Josh is a big backpacker and we showed up prepared and stayed in huts all three nights, and it was definitely the hardest thing I had ever done. I have to give a big eye roll to people who complain about trail conditions and wanting the AT to change. The White Mountains are known to be brutal — they’re outright dangerous mountains with fierce and quick-changing conditions. It’s all about doing the research, being prepared, and knowing that with certain hiking comes risk.